Many of us don’t realise how dependent we are on electricity, but if you had a prolonged power cut, no doubt you’ll notice how much your life revolved around using electricity. Having said that, a portable petrol generator can provide you with electricity where ever you go. Not only is it useful for power cuts, but because of its portability it’s also perfect for camping, construction sites, gardening work where you’re too far from a mains socket and have to use power tools such as a lawn mower or hedge cutter or anything else that requires power. 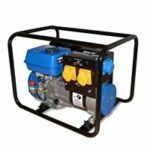 A portable petrol generator generates electricity from petrol mixed with the appropriate oil, the generator can then be started up and you’ll have power flowing to your electrical devices in no time. Remember to only use your portable generator outside as it produces carbon monoxide which is deadly and can kill. 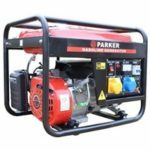 Since knowing the components and features of a portable electric generator is not common knowledge, it’s important you know what features to look out for to ensure you’re getting the best portable petrol generator. There are two types of output you will need to pay attention to since it can cause confusion. Maximum output – This is the maximum power output the generator can handle for a short period of time. Please note that this is not the maximum power of all the combined devices running of the generators power. Some electric devices or appliances use more power when starting up. For example, a desktop fan might have a Wattage of 40, however its starting Wattage would be 120W, therefore the 120W would account towards the max output, whereas 40W would be its continuous output. The amount of power you’ll require would really depend on what devices you will be using the generator for. If you’re using devices which requires additional power to start up then you would need a generator with a higher maximum output. Continuous output – Refers to the running Wattage of the devices, with many devices the running and starting Watts are the same. Just to give you a few examples, popular electricals that have the same starting and running Watts are: Television, reading lamp, toaster, microwave, electric BBQ grill, AM/FM radio and iron. 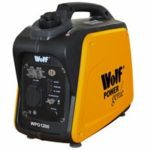 Before you buy a portable petrol generator, check the Watts required for each of the devices you’ll need to use for the generator. It’s better to have more power than less. Below we’ll give an example of how much power is required if several devices are running of the generator. As you can see, the total required running Watts is 2910W, as a result you’ll need a generator with a continuous output of at least this amount. To calculate the maximum output required, you’ll need to add the item with the highest starting Watts to the total running Watts, so in this case it’ll be the washing machine at 2250W + 2910W = 5160W. Based on the items listed in the table, you’ll need a generator with a maximum output of at least 5160W and as we already mentioned continuous output must be at least 2910W. Engine – Each generator will have an engine as this drives an alternator, which generates power. The type of engine will usually indicate what type of oil and petrol to use. 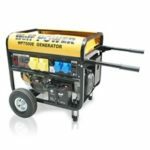 Fuel tank capacity – A larger fuel tank would usually mean a longer run time, however the run time does also depend on how much electric you’re consuming from the generator. Output sockets – Number of plug sockets available for you to plug your devices into. Sockets are usually the standard 3 pin UK plug sockets. Starting system – Method in which the generator is started up, most of them will have a recoil start which is basically a pull cord which you simply pull to get the engine started. Noise level – As generators can be quite noisy, you might need to take your neighbours into consideration. 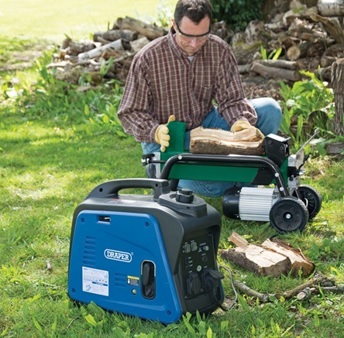 If you plan to use the generator in your garden then you might need to buy a quiet petrol generator. Manufacturers do specify the noise level reading for their generators, but if you’re in any doubt then you can check the reading yourself with a noise level meter. 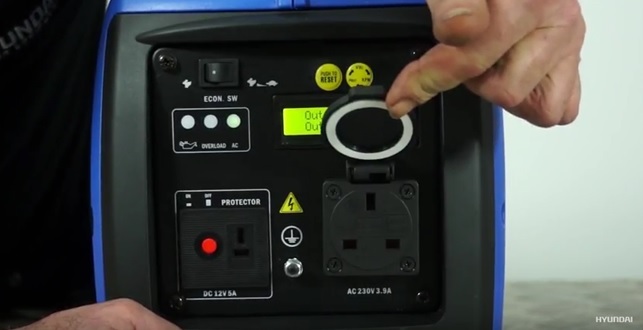 Dimensions – Portable petrol generators come in different sizes and the size difference between one and another can be quite a big difference. However it is still classed as portable since it can still be freely moved around. Weight – Like with the dimensions, the weight can vary quite a bit. 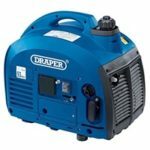 You can get handheld generators, light enough to carry around in your hand or you can get a generator on wheels because it’s too heavy and not practical to carry with your hands. If you have to carry the generator and tools to a construction site then it might be too much to carry, therefore having a garden trolley cart will be beneficial as it’ll hold everything.